Jasmine Bridal's mission is to provide brides with the ultimate in fashion, fit and service. Jasmine offers our customers only the highest level of quality and design in all of our gowns, with a fit that makes every woman look and feel beautiful. 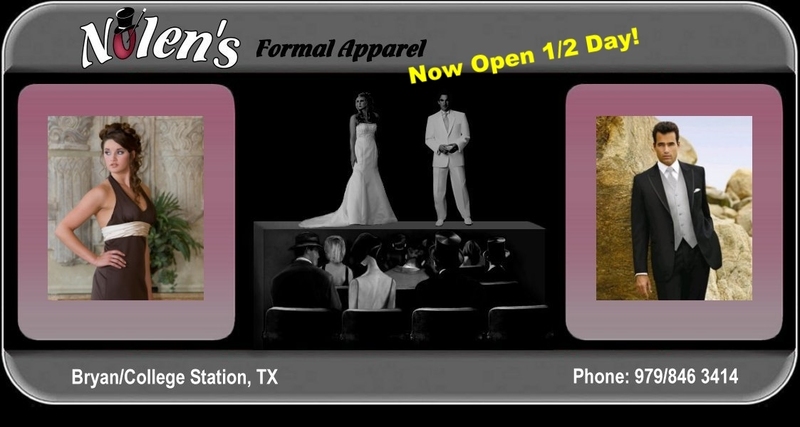 Nolen's Formal Apparel is the Jasmine bridesmaids dealer in Bryan, College Station, TX and surrounding Brazos Valley in Central Texas. So if you are looking for a bridesmaid dress from the Jasmine, or, B2 along with optional Jasmine bridesmaid waist decorations, come to Nolen's. We service Bryan, College Station, Brenham, Austin, Waco, TX.